I really love the fresh taste of fruit frozen in a Popsicle. This adult treat has all the characteristics of a pina colada. You will taste pineapple, coconut and of course rum. 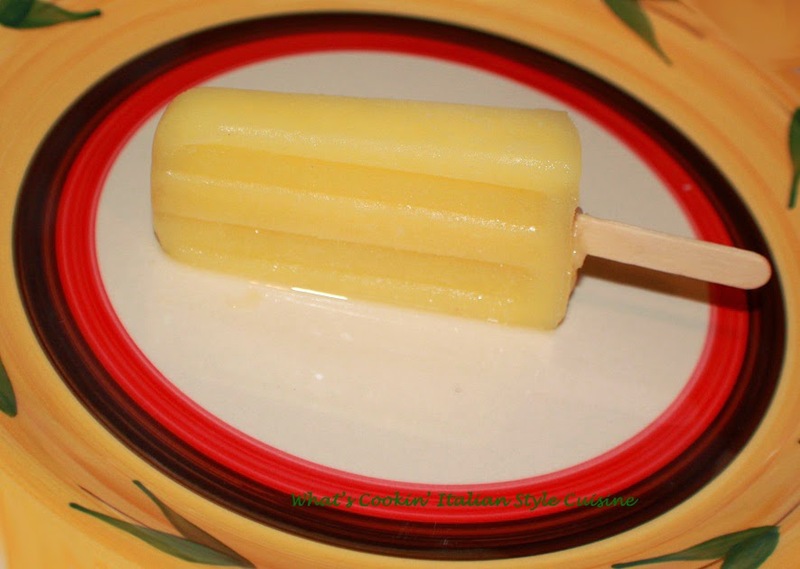 This tropical frozen treat really makes you feel a piece of the island flavors and surely will cool you off on those hot days and summer nights. Place everything in a food processor and puree until the mixture is smooth. Pour into Popsicle molds and place the wooden stick in them or ice cube trays and freeze for at least 6 hours before removing from mold.